When you combine green energy with green sports you form an unstoppable team. That’s the idea behind cycling teams sponsored by Beaumont Solar that want to ride in charitable events within their community, or events that promote green communities, like the annual Save the Bay event held in southcoastal MA. Beaumont Solar kicked off this cycling program by sponsoring its first group of entrants that rode in the Buzzard’s Bay Watershed Save the Bay ride. The course, which stretched 75 miles from Westport to Woods Hole, MA was rode by cyclists of all levels both young and old to help preserve the green resources of Buzzard’s Bay. Beaumont will be sponsoring riders in this year’s Save the Bay, the Triple ByPass ride in Colorado and many more. Beaumont’s president & CEO Phil Cavallo decided to implement a company sponsored program designed to promote healthy living in a healthy environment, while benefiting charitable and environmental organizations at the same time. Beaumont Solar is committing $25k to the program this year. 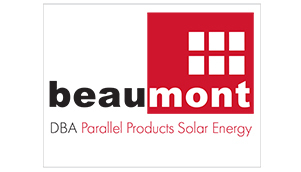 “It’s easy for a solar company to say they are green and be part of a fad, we at Beaumont Solar are committed to being green and to re-enforcing this message back to the green communities we serve,” said Cavallo. Riders looking to be sponsored who agree to ride in 2 or more charitable events per year will receive financial sponsorship and a team uniform (as pictured above). To find out more details on how Beaumont Solar can sponsor your next ride contact Beaumont Solar at 508-990-1757 and we’ll get you started.